Do you want to simultaneously transmit data and energy efficiently? At Automation24 we present you the perfect solution with HARTING, the specialist in connection technology. With unmanaged Ethernet switches and rectangular connectors from HARTING, you do not compromise but realize your projects with ease. The company HARTING is an independent family business that was founded in 1945 in Minden, Germany and is known today as the world leader in electrical and electronic connection technology. The founders were Wilhelm Harting and his wife Marie. Today, the company has its headquarters in Espelkamp, Germany and is owned and directed by Dietmar and Margrit Harting and their two children: Philip Harting and Maresa Harting-Hertz. The HARTING Technology Group is represented by 51 sales companies and employs more than 4000 people worldwide. The company manufactures products in six areas: automation, industrial electronic systems, plant and mechanical engineering, power generation and distribution, as well as telecommunications. As a globally operated company HARTING remains very close to the customer. Therefore, the production among other things takes place not only in Germany, but also in the Netherlands, China, Brazil, Russia, Romania, India, the United States and Switzerland. 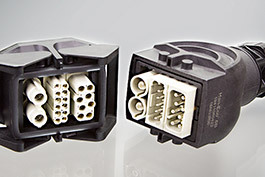 HARTING develops, manufactures and sells connection technology, device connections and network components. The HARTING Technology Group is always seeking to offer integrated system solutions and to ensure the efficient transmission of data and power. The motto: Pushing Performance! The unceasing goal from HARTING is to convince with products that maximize customer benefits and meet the highest standards - even under extreme operating conditions. 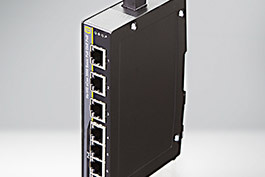 At Automation24 you can purchase Unmanaged Ethernet switches from the category Industrial Ethernet as well as Rectangular connectors from the category Connection technology from the manufacturer HARTING. Ha-VIS eCon Ethernet Switches provide the perfect complement to products in the category of Control systems and simultaneously transmit data and power in a particularly efficient manner. Do not make compromises, when transmitting data and power. Order the appropriate products from HARTING today at Automation24 for the absolute best price! Do not hesitate to contact us via phone or chat as well if you still need technical advice on the Ethernet Switches or other products. We look forward to hearing from you!